China – Len Bilén's blog, a blog about faith, politics and the environment. 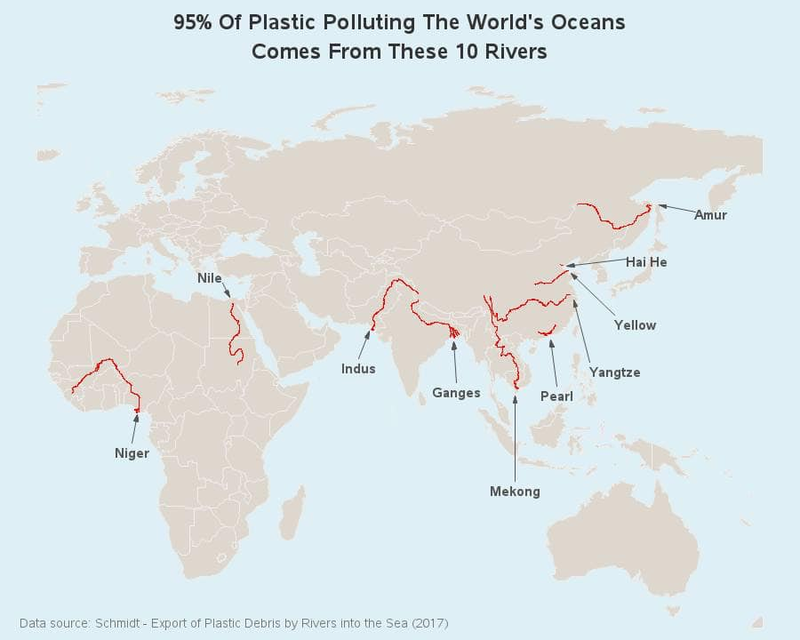 Half the word’s plastic trash ending up in the ocean comes down the Yangtze river. A Limerick. One wonder, how bad can it be? 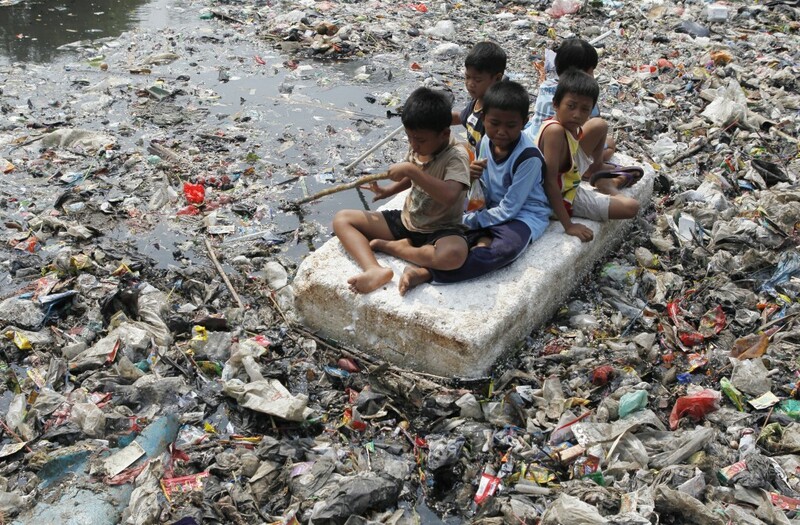 Posted on April 6, 2019 April 7, 2019 Categories environment, limerick, pollution, waterTags China, Plastic Pollution, water, Yang TzeLeave a comment on Half the word’s plastic trash ending up in the ocean comes down the Yangtze river. A Limerick. Posted on February 9, 2019 Categories climate, CO2, Congress, economy, energy, Engineering, environment, health care, laws, medicin, politics, pollution, regulations, science, thorium, waterTags Antarctica, China, Civilization, Climate change, CO2, Congress, Constitution, Donald Trump, economy, environment, Iran, Obama, politics, the Green New DealLeave a comment on My response to the Green New Deal. It’s snowy and cold here up north. 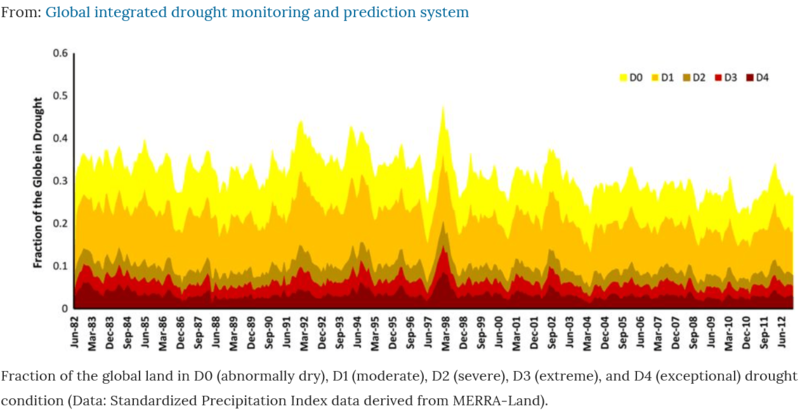 True Climate Change starts to come forth. 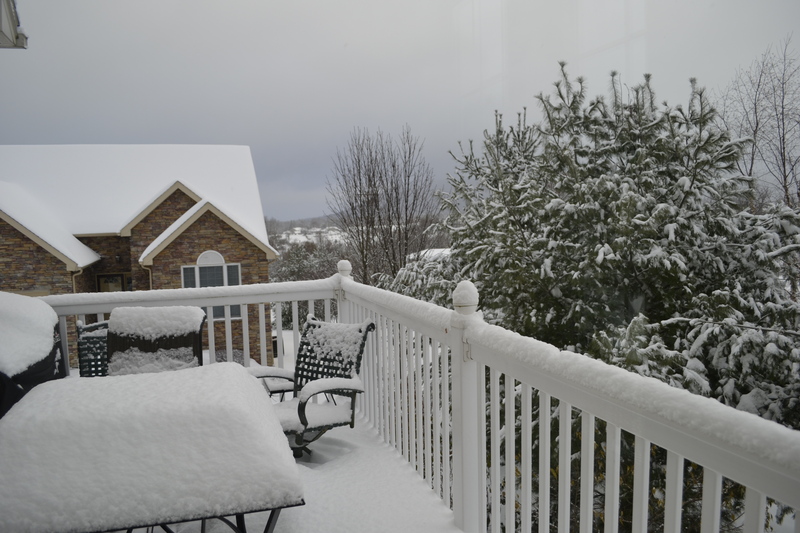 This picture was taken Nov 15 from our porch in Boalsburg, PA. It was a very early snowfall. Last night it was 11 F in Boalsburg, a new low for this date, and tomorrow night may set a new all time low for November since records begun. This is of course local weather, but looking at the whole picture it seems to get colder in the Northern Temperate Region and in the Arctic in spite of temperature readings showing higher than average temperatures. Let me explain: Everybody knows that in the Summer clouds cool by day and warm by night. Up North in Winter clouds containing snow, warm the atmosphere both day and night, and yet they cool down by depositing snow. 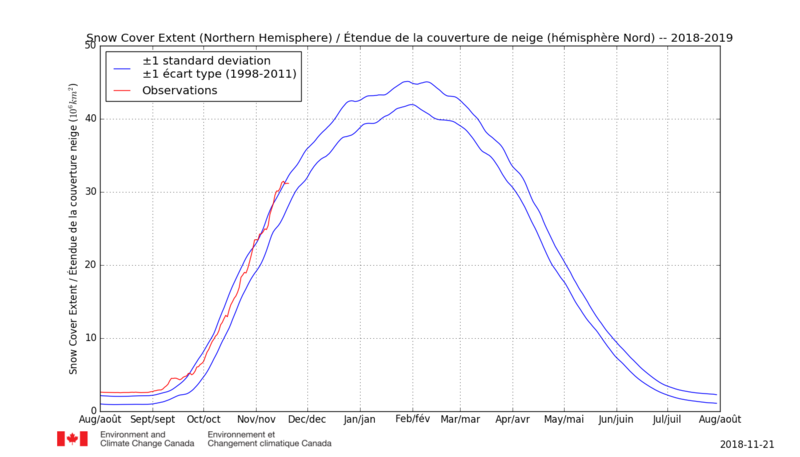 This chart is from yesterday and is from the Canadian department of ‘Environment and Climate Change’, so we can rest assured that the amount of snow cover is not over-estimated. 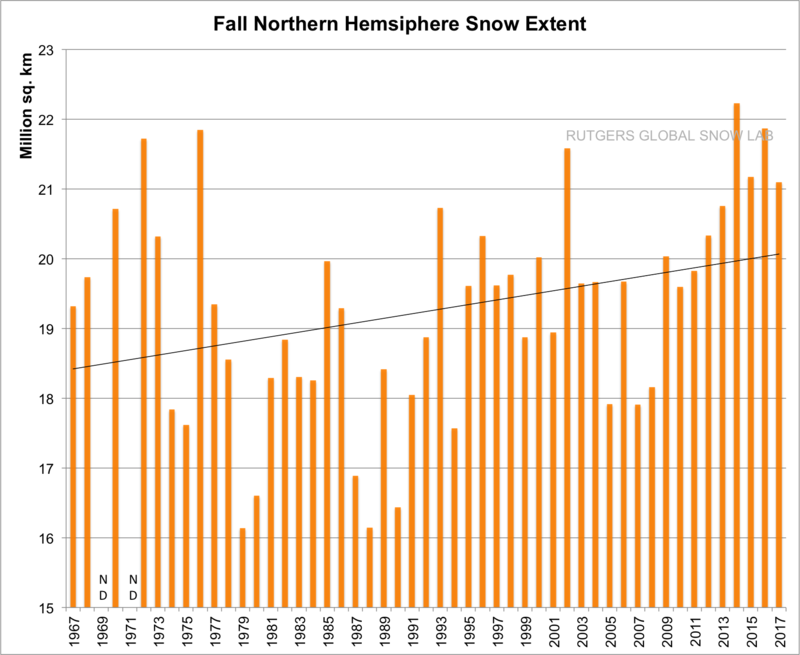 From Rutgers University climate lab comes this chart of fall snow cover in the Northern Hemisphere. This year’s snow cover is about 5% larger than last year at the same day, so we can clearly see that the increasing trend is not broken; if anything, it is accelerating. 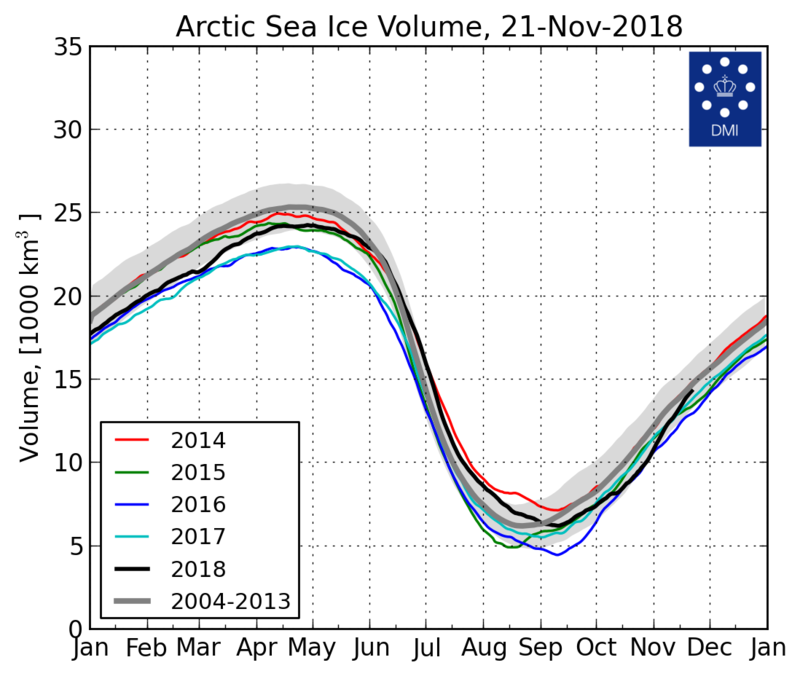 From sunshinehours.net comes this chart, showing the Arctic ice cover has grown from being the lowest on record in October to the highest in the last seven years for Nov 21. 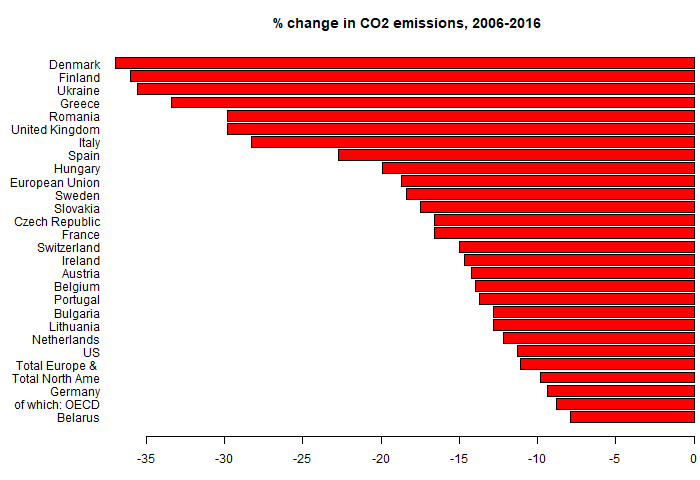 This is confirmed by the Danish Ministries for Energy, Utilities and Climate. 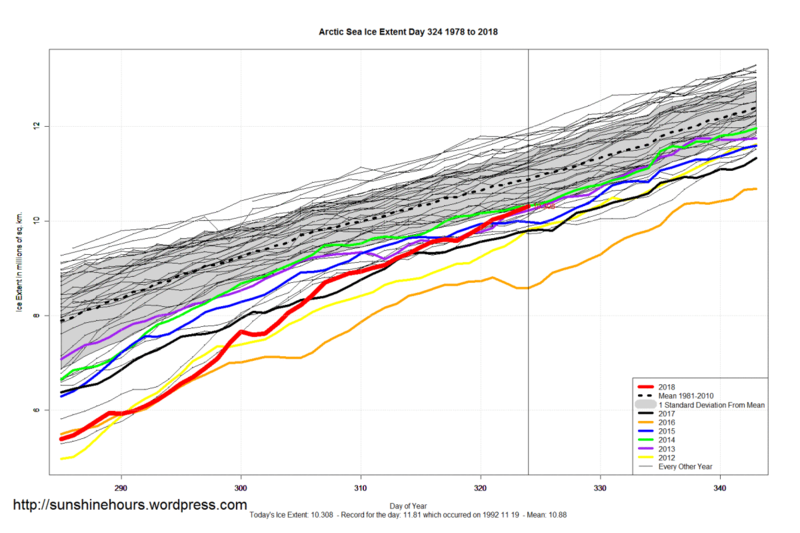 The charts can be found at polarportal.com. 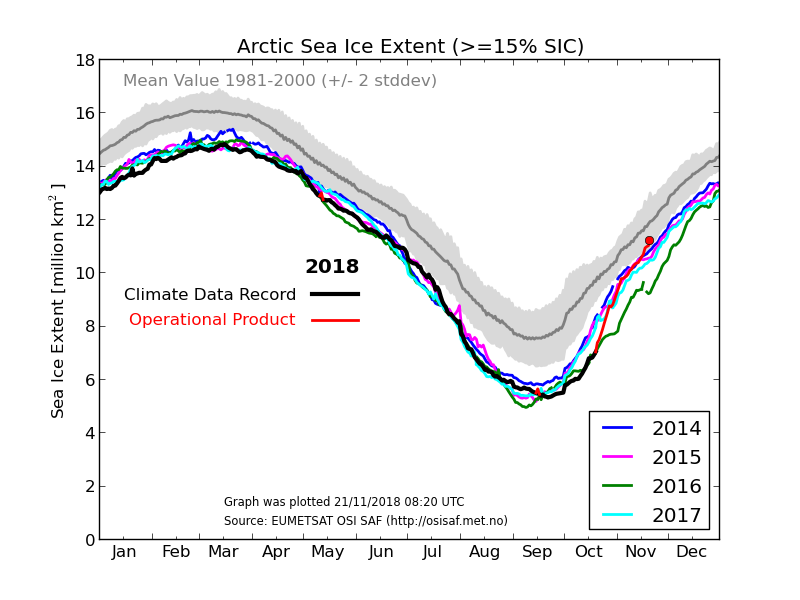 confirms that it was not just a flash-over of ice on a calm ocean, but real ice accumulation at a record clip since October. 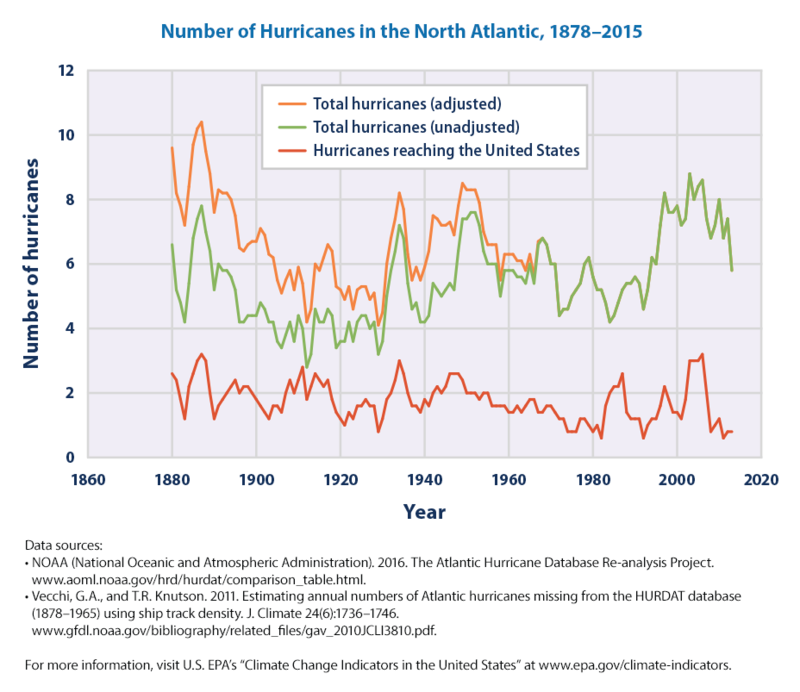 This trend of increasing Fall snow and ice accumulation has not been well published. 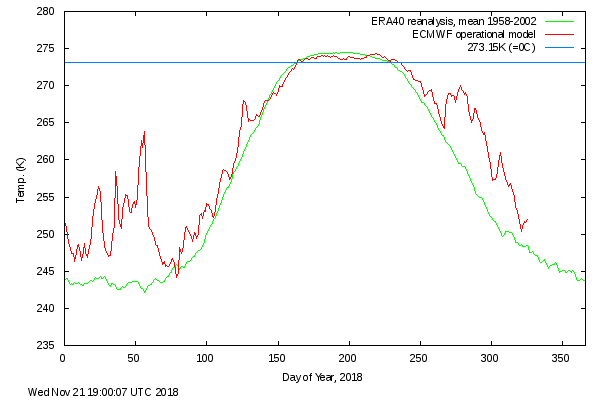 The earlier Spring arrivals with heavier than normal snow-melts have, but the reason for early Springs is not primarily increasing CO2. 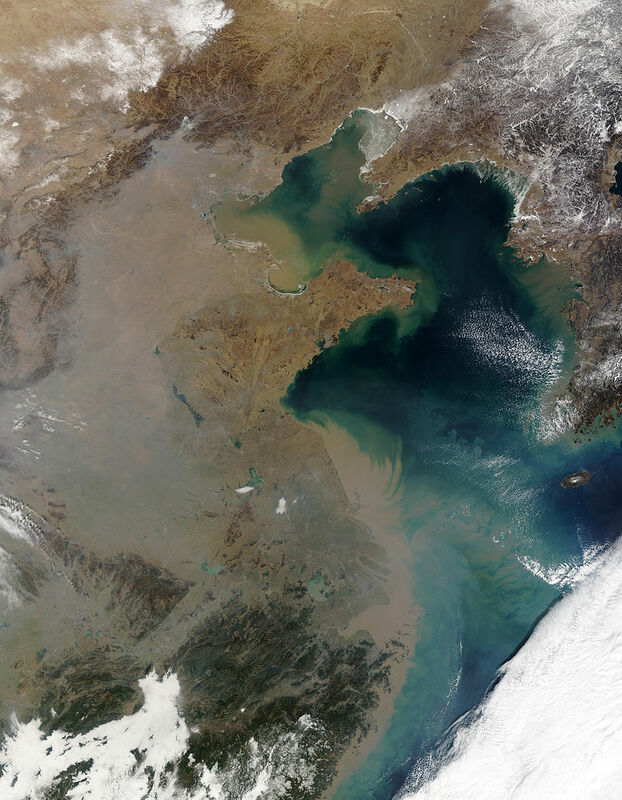 A bigger impact comes from the brown clouds emanating from mostly China. The soot from these clouds make its way all the way up into the Arctic and is deposited on the snow, changing the albedo, leading to an earlier snow-melt. Climate Studies are fascinating, the Science is far from settled, we are still at the beginning of understanding the major temperature regulator of the world: Clouds. People, raw material and energy, the trade war with China, and will tariffs solve anything? We are in a pickle. At least we were until President Trump stirred the pot and decided to address the trade war with China that has been going on for more than a decade, encouraged and abetted by former President Obama and his religious belief that the biggest threat to civilization is not nuclear holocaust, chemical poisoning of people and the earth or super-volcanoes, earthquakes, tsunamis and other natural phenomena, but climate change, all man-made of course. Let us compare the economies of China and the U.S. in raw numbers. 1. Concrete. China produced 51.4% of the world’s cement in 2015, USA produced 1.8%. China’s production was almost 30 times larger. It takes a lot of concrete to build artificial islands so they can take control of the South China Sea. 2 Steel production. 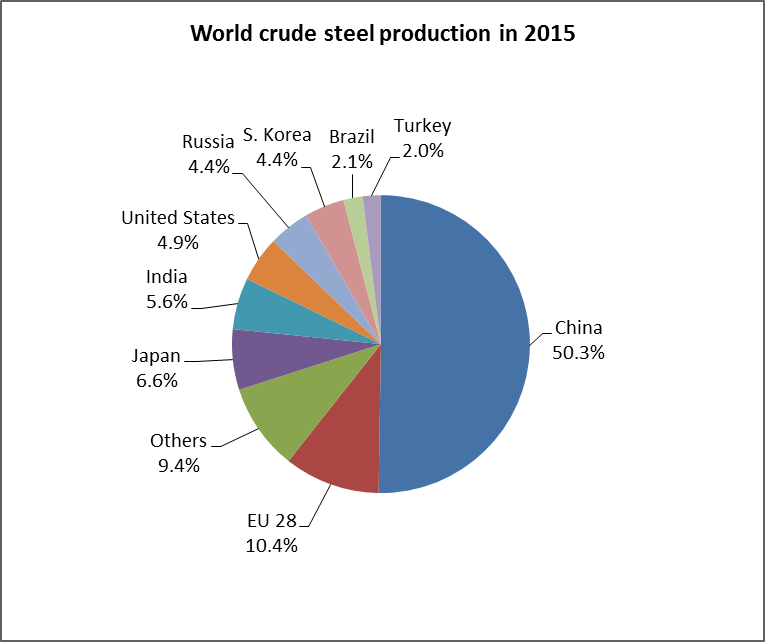 China produced 50.3% of the world’s crude Steel in 2015, USA produced 4.9%. China’s production was over 20 times larger. Some of this steel was dumped below production cost to crush our domestic low end steel industry. An example: Rolled steel to make steel cans were exported at about $200 a ton, the production cost in the U.S. is more like $400 a ton. 3. Aluminum (or Aluminium as the British and IUPAC call it) China produced 41% of the world’s raw aluminum in 2010, USA produced 4.5%. China’s production was nearly 10 times larger. This is easily rectified. 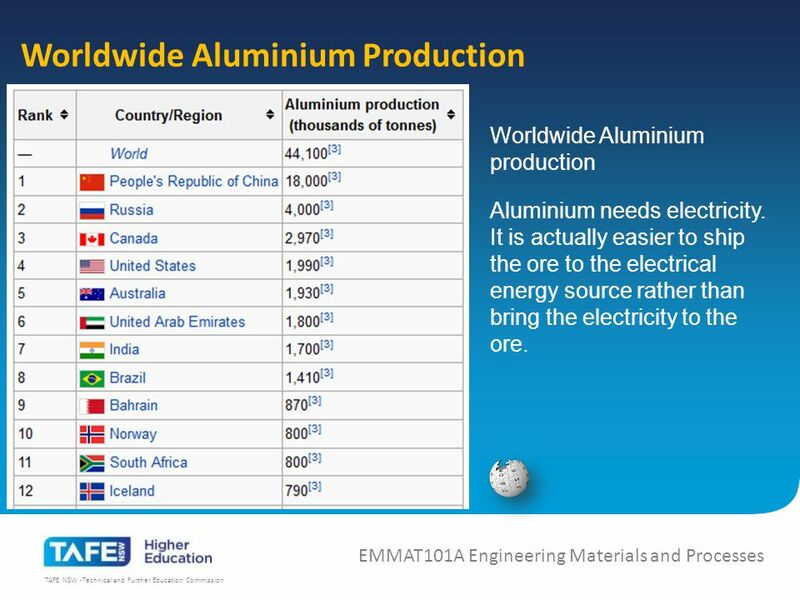 Aluminum is produced where electricity is abundant and cheap, like in Norway and Iceland. Aluminum is produced whenever there is excess electric capacity, never on peak hours. Even here China dumps their excess Aluminum. 4. Coal. 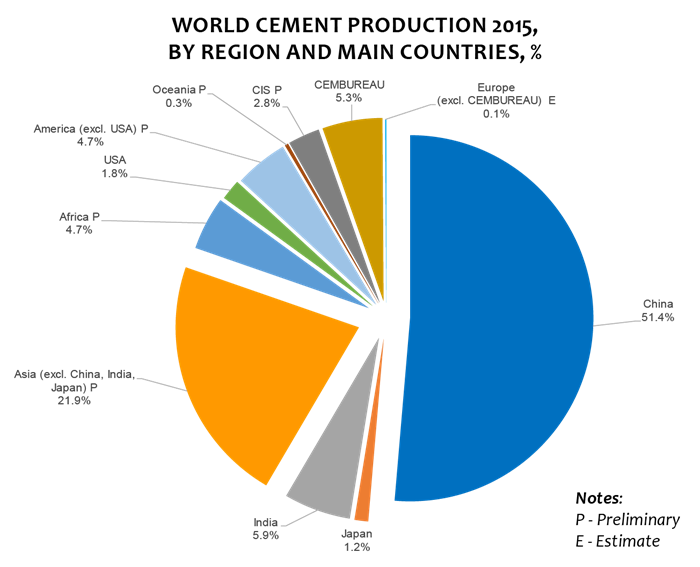 China burned 51.2% of the world’s coal in 2012, USA produced 12.5%. China’s production was more than four times larger. This of course with the Paris accord in mind. 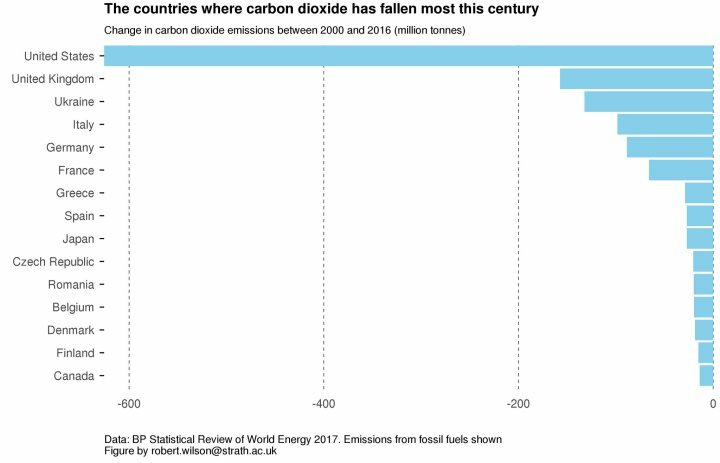 U.S. and the European countries are to limit their emissions and slowly diminish them, down to a per capita emission comparable to the mid 1800’s, while China, being a developing country is allowed to increase their emissions until 2030, and then stabilize them, not decrease them. 5. 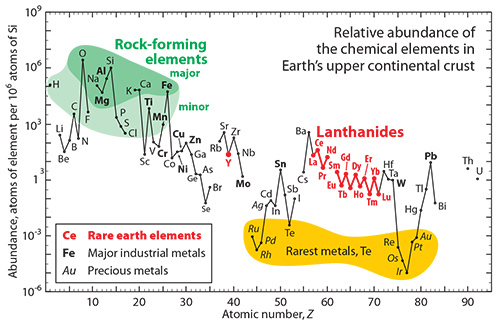 Rare Earth Metals. First, rare earth metals re not rare at all, they exist in small quantities together with Thorium and sometimes Uranium wherever other metals are mined. The Lanthanides occur in quantity in Monazite, a byproduct of mining Phosphates, but also as a byproduct of mining Titanium, and even from some Iron ores. The rare earth metals are free to begin extraction if it was not for one thing, they also contain Thorium, and Thorium is radio-active, so in the mid 1980’s the NRC and IAEA reclassified Monazite and anything containing Thorium as a “Source Material” and after that it became too costly to comply with all the regulations for nuclear material, so all production of rare earth minerals ceased in the U.S.
China saw an opportunity to grab the world market for Rare Earth Metals and is now controlling about 94% of the supply of all rare earth metals. 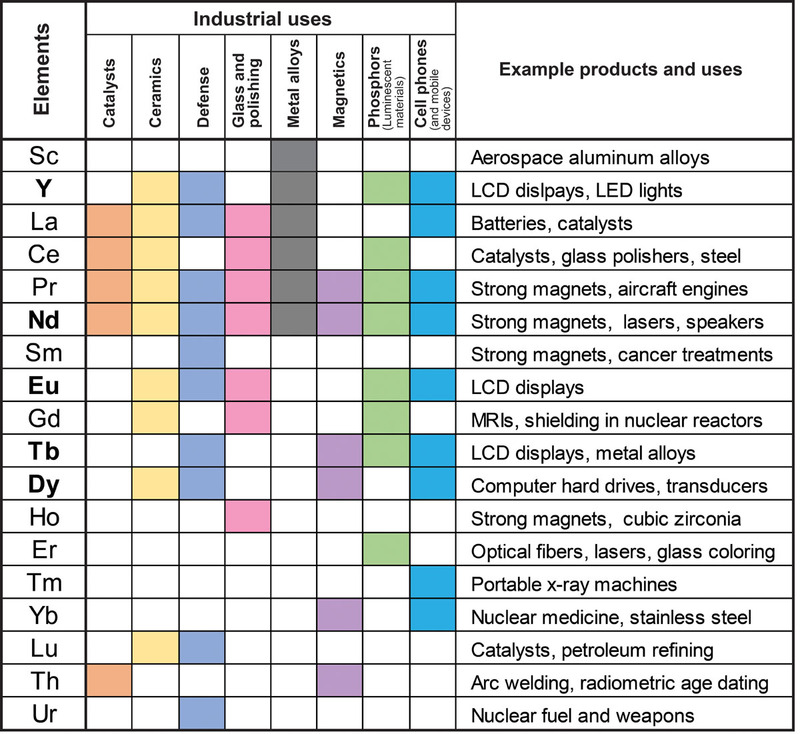 So what are rare earth metals used for? China now has a de facto monopoly on all usages of rare earth metals, and in the case of war or an embargo, not only are our precious cell phones and computers in jeopardy, so is our defense, night vision goggles, aircraft engines, navigation systems, laser guidance, just to name a few uses. And not only that, we import the completed parts from China, even for our most sophisticated military equipment, such as the F35 aircraft, after telling the Chinese how to make the components. The very same components are now in China’s version of the F35, still under development, but in a year or so China will have their faithful copies made! This is clearly unsustainable, so in 2014 Congress tried to pass HR 4883 and S 2006 to remedy the situation, but the bills got killed in review by none other than the defense department, citing National Security! We are no longer under the Obama “Strategic Patience” doctrine, so an updated version of these bills need to be introduced ASAP, or we will be on the hook from China forever! After all this, the current spat with North Korea seems like a nuisance. Posted on March 10, 2018 March 10, 2018 Categories energy, environment, pollution, thoriumTags Aluminum tariffs, China, Climate change, Obama, Rare Earth Metals, Steel tariffs, tariffsLeave a comment on People, raw material and energy, the trade war with China, and will tariffs solve anything? And then there was one. U.S. alone fights climate change the right way. At the climate conference in Bonn, Germany, Syria signed the so called Paris Accord on Climate Change, leaving the United States alone as a non-signer. So, who is the biggest CO2 villain? It is China by 6500 million tons of oil equivalent increase since 2000. 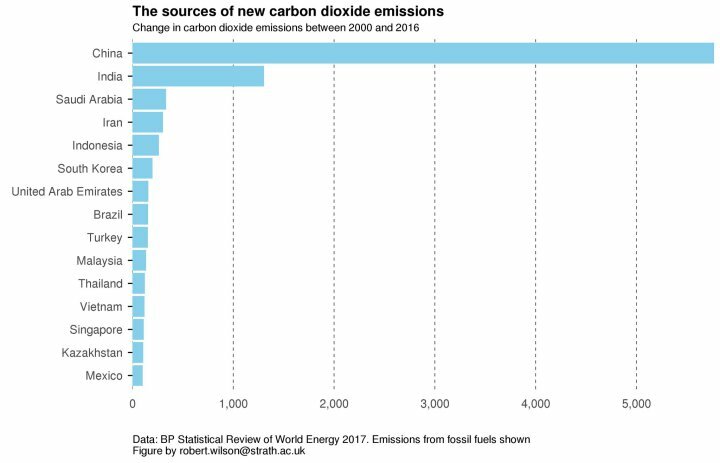 According to the Paris accord China is allowed to emit 6 times as much CO2 as the U.S. And not only that, the U.S. would pay them as one of the “developing” countries to do that! Posted on November 9, 2017 Categories climate, CO2, energy, environment, politics, pollutionTags China, Climate change, CO2, Denmark, environment, Paris accord, politicsLeave a comment on And then there was one. U.S. alone fights climate change the right way. Humor in China? You must be kidding. Even Winnie the Pooh is now banned, a Limerick. 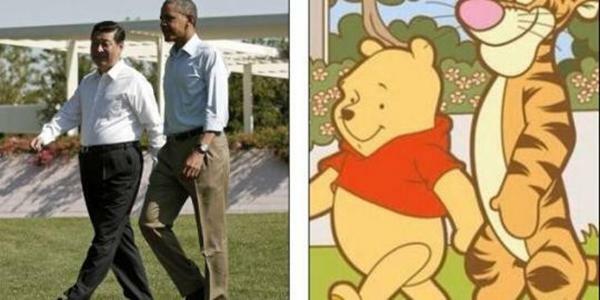 Now China banned Winnie the Pooh. Not much that a small bear can do. he nixed Twitter humor, boo-hoo. 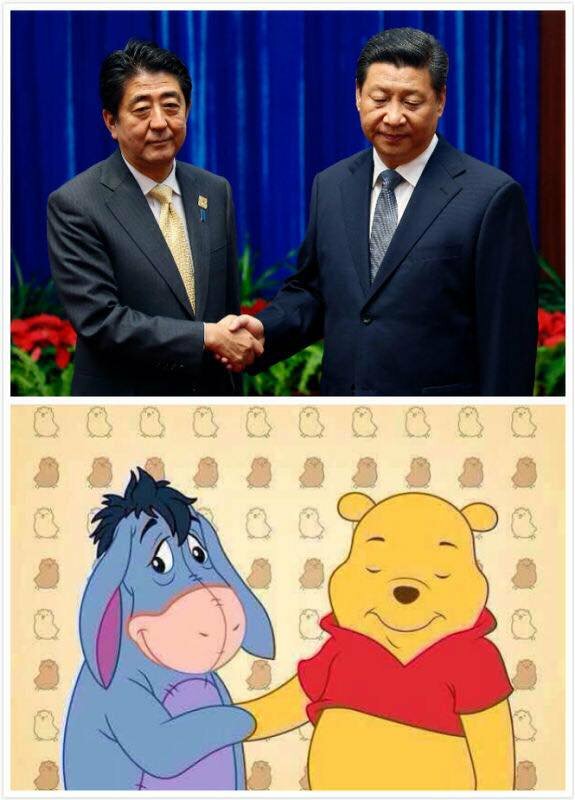 It is clear that banning Winnie the Pooh now after having enjoyed it for four or more years can only mean that China is tightening the screws on free speech even further. Are they ready to go even more totalitarian? 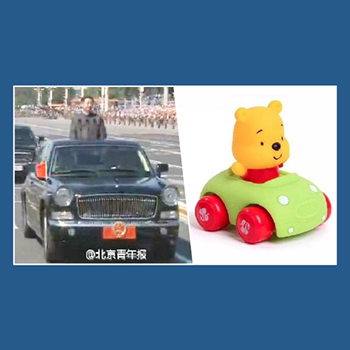 Posted on July 18, 2017 Categories limerick, Obama, PoliticsTags China, Chinese President Xi Jinping, humor, Limericks, Obama, politics, Twitter, Winnie the PoohLeave a comment on Humor in China? You must be kidding. Even Winnie the Pooh is now banned, a Limerick. 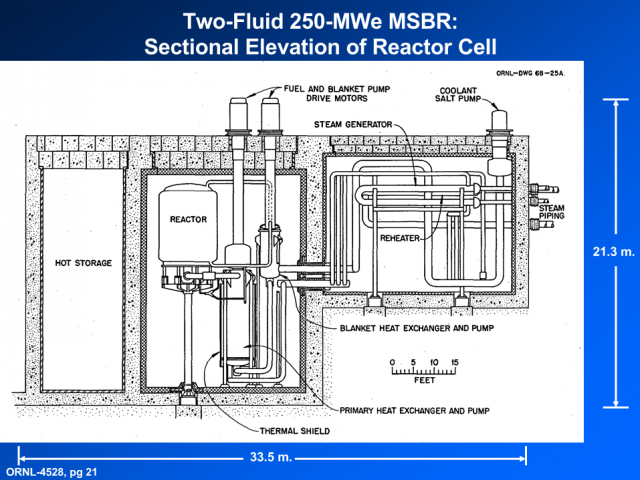 Twenty-two reasons to rapidly develop Thorium based Nuclear Power generation. We need badly to develop a Thorium based molten salt fast breeder nuclear reactor to develop our energy needs in the future. Lest anyone should be threatened by the words fast breeder, it simply means it uses fast neutrons instead of thermal neutron, and breeder means it produces more fissible material than it consumes, in the case of Thorium the ratio is about 1.05. 1. Cheap and unlimited raw material. 2. Much less TRansUranium waste, 0.01% waste products compared to a Uranium-235 fast breeder. 3. Produces Pu-238 as one of the final TRans Uranium products, in short supply and much in demand for space exploration nuclear power. 4. Radioactive waste decays down to background radiation in 300 years instead of a million years. 5. Does not produce Plutonium 239, which is the preferred material used in nuclear bombs. 6. Produces isotopes that helps cure certain cancers. 7. Thorium Nuclear Reactors are earthquake safe. 8. No risk for a meltdown, the fuel is already molten. 9. Very high negative temperature coefficient leading to a safe and stable control. 10. Atmospheric pressure operating conditions, no risk for explosions. 11. Virtually no spent fuel problem, no storage or transport. 12. Scales beautifully from small portable generators to full size power plants. 13. No need for evacuation zones, can be placed near urban areas. 14. Rapid response to increased or decreased power demands. 15. 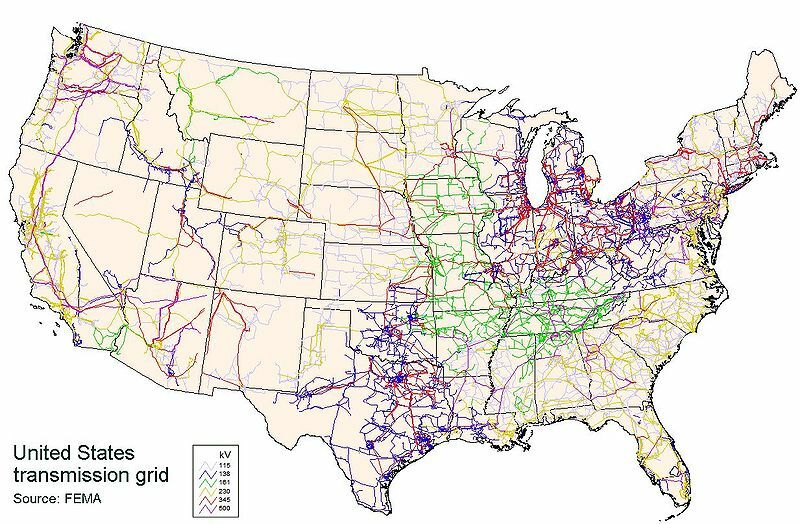 Lessens the need for an expanded national grid. 16. Russia has a Thorium program. 17. China is having a massive Thorium program. 18. India has an active Thorium program. 19.Lawrence Livermore Laboratories is developing a small portable self-contained Thorium reactor capable of being carried on a low-bed trailer. 20. The need for a Yucca Mountain nuclear storage facility will eventually go away. 21. Produces electricity at a cost of about 4 c/kWh. 22. Can deplete some of the existing radioactive waste and nuclear weapons stockpiles. 1. Cheap and unlimited raw material. There is enough Thorium around for a million years at today’s worldwide energy generation level , and not only that, it is a by-product of mining heavy metals and rare earth metals. The price is the cost of extracting and refining, which can be as low as $40/Kg. No extra mining required for extracting the Thorium. 2. Much less TRansUranium waste, 0.01% waste products compared to a Uranium-235 fast breeder. 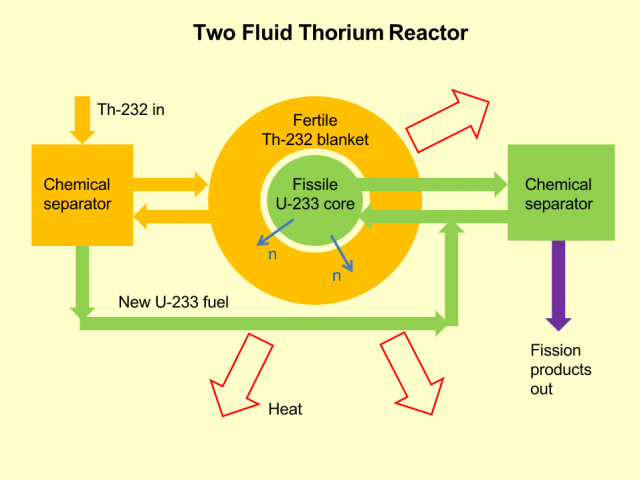 The Thorium process has a much higher efficiency in fission than the Uranium process. See the figure below. NASA relies on pu-238 to power long-lasting spacecraft batteries that transform heat into electricity. With foreign and domestic supplies dwindling, NASA officials are worried the shortage will prevent the agency from sending spacecraft to the outer planets and other destinations where sunlight is scarce. 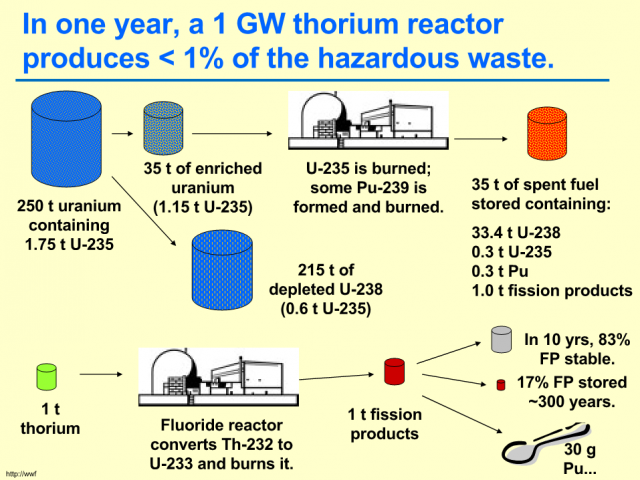 Thorium reactors produce PU-238 as a “free” byproduct. In 2009 Congress denied a request to produce more Pu-238 by traditional means, instead relying on Russia to sell us the plutonium. (Remember the Russian reset?) Russia made their last delivery in 2010. 4. Radioactive waste decays down to background radiation in 300 years instead of a million years. 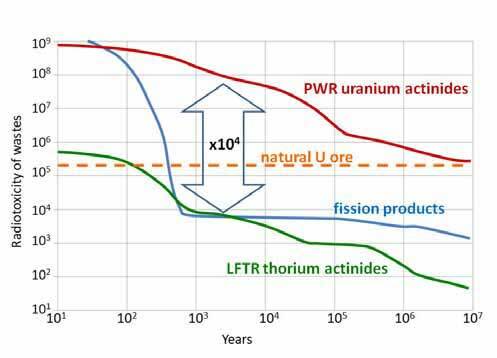 Initially a Thorium reactor produces as much radioactivity as other nuclear reactors, since fission converts mass to heat, but the decay products have a much shorter half-life. See the figure below. 5. Does not produce Plutonium239, which is the preferred material used in nuclear bombs. The higher Plutonium isotopes and other TRansUraniums are about as nasty as they get, and need expensive protection against terror attacks, and need to be stored for a very long time. 6. Produces isotopes that helps cure certain cancers. For decades, medical researchers have sought treatments for cancer. Now, Alpha Particle Immunotherapy offers a promising treatment for many forms of cancer, and perhaps a cure. Unfortunately, the most promising alpha-emitting medical isotopes, actinium-225 and its daughter, bismuth-213, are not available in sufficient quantity to support current research, much less therapeutic use. In fact, there are only three sources in the world that largely “milk” these isotopes from less than 2 grams of thorium source material. Additional supplies were not forthcoming. Fortunately, scientists and engineers at Idaho National Laboratory identified 40-year-old reactor fuel stored at the lab as a substantial untapped resource and developed Medical Actinium for Therapeutic Treatment, or MATT, which consists of two innovative processes (MATT-CAR and MATT-BAR) to recover this valuable medical isotope. 7. Earthquake safe. Thorium reactors have a very simple and compact design where gravity is the only thing needed to stop the nuclear reaction. Conventional Nuclear reactors depend on external power to shut down after a SCRAM, where poison rods fall down to halt the reaction. 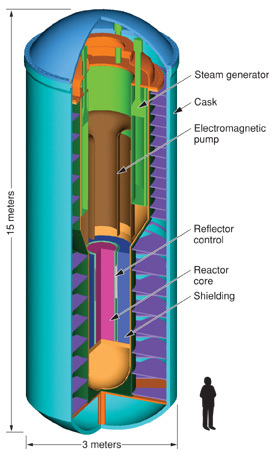 The next figure shows the concept of a Thorium reactor. The idea is to empty the fissile U-233 core through gravity alone. Since the fuel is already molten, it can run out into channels like pig-iron into cooling heat exchangers with water supplied through gravity alone. As we can see the reactor hardened structure is compact, and can be completely earthquake and tsunami proof. What can be sheared off are the steam pipes and external power, but the shutdown can complete without additional power. 8. No risk for a meltdown, the fuel is already molten. The fuel in a Thorium reactor is U-233 in the form of UraniumFluoride (UF4) salt that also contains Lithium and Beryllium, in its molten form it has a very low vapor pressure. The salt flows easily through the heat exchangers and the separators. The salt is very toxic, but it is completely sealed. 9. Very high negative temperature coefficient leading to a safe and stable control. This is another beauty of the molten salt design. The temperature coefficient is highly negative, leading to a safe design with simple and consistent feedback. What does that mean? It means that if temperature in the core rises, the efficiency of the reaction goes down, leading to less heat generated. There is no risk for a thermal runaway. In contrast, Chernobyl used graphite moderated Uranium , and it suffered a thermal runaway as the operators bypassed three safety circuits trying to capture the last remaining power during a normal shut-down. The reactor splat, the graphite caught fire and the rest is history. Five days later two nuclear installations in Sweden shut down their reactors due to excessive radiation, but it took a while before they could figure out what had happened. First then did the Soviets confess there had been an accident. 10. Atmospheric pressure operating conditions, no risk for explosions. Materials subjected to high radiation tend to get brittle or soften up. Thorium reactors operate under atmospheric conditions so the choice of materials that can withstand both high temperatures and high radiation is much greater, leading to a superior and less expensive design. There is no high pressure gas buildup and the separation stage can be greatly simplified. 11. Virtually no spent fuel problem, no storage or transport. I am following the events at Fukushima Nuclear Power plants with great interest. 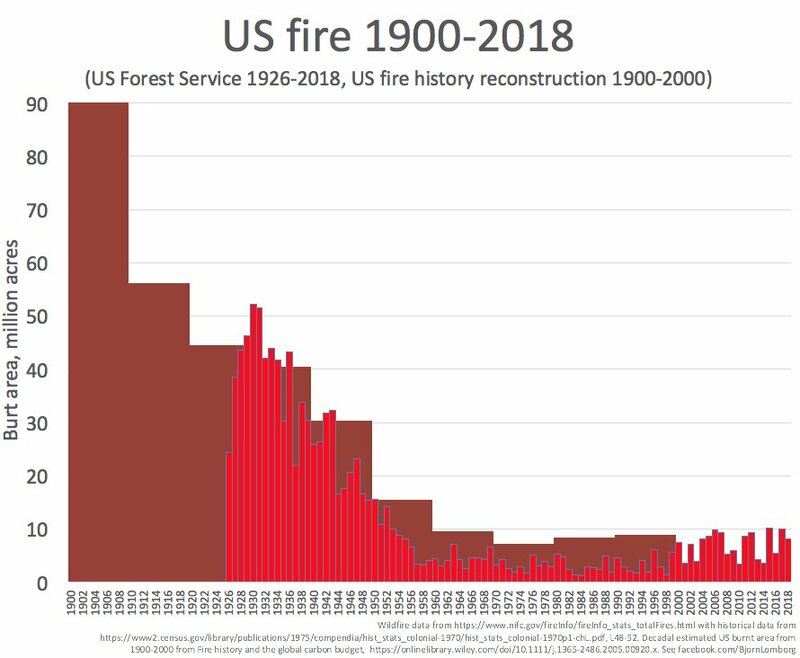 How ironic that the greatest risk is with the spent fuel, not with the inability to shut down the working units. The spent fuel issue is the real Achilles’ heel of the Nuclear Power Industry. Thorium power works differently as nearly all fuel gets consumed as it is generated. When the process shuts down, that is it. Only the radioactivity that is en route so to say will have to be accounted for, not everything generated thus far in the process. The difference is about 10000 to one in the size of the problem. Time to switch over to Thorium. 12. Scales beautifully from small portable generators to full size power plants. 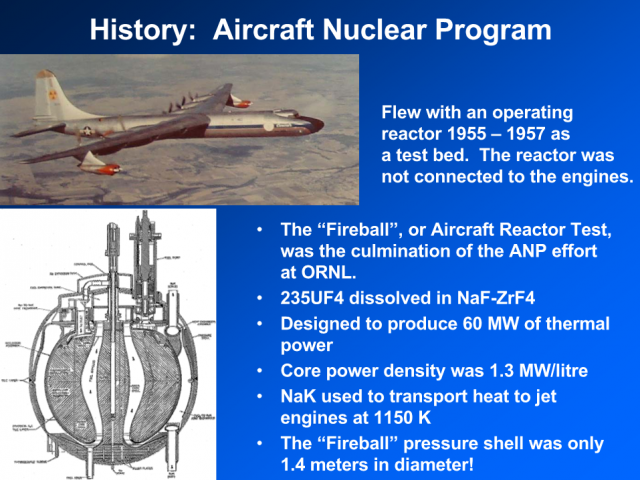 One of the first applications was as an airborne nuclear reactor. Granted this was not a Thorium breeder reactor, but it proves nuclear reactors can be made lightweight. Thorium reactor may be made even lighter as long as they are not of the breeder type. 13. No need for evacuation zones, can be placed near urban areas. Thorium reactors operate at atmospheric pressure and have a very high negative temperature coefficient, so there is no risk for a boil-over. They are easily made earthquake-safe since no pressure vessel is needed. 14. Rapid response to increased or decreased power demands. The increase in power output to increased power demand is faster than in coal-fired power plant. All you have to do is increase the speed of flow in the core and it will respond with raised temperature. 15. Lessens the need for an expanded national grid. The National Electric grid is at the breaking point. It needs to be expanded, but neighborhood resistance is building in many areas where they need an expansion the most. The grid is also sensitive to terrorism activities. As we can see the national grid is extensive, and under constant strain. A way to lessen the dependency on the national grid is to sprinkle it with many small to medium sized Thorium Nuclear Power generators. They can be placed on barges in rivers and along the coast, giving the grid maximum flexibility to respond in case of an emergency. 16. 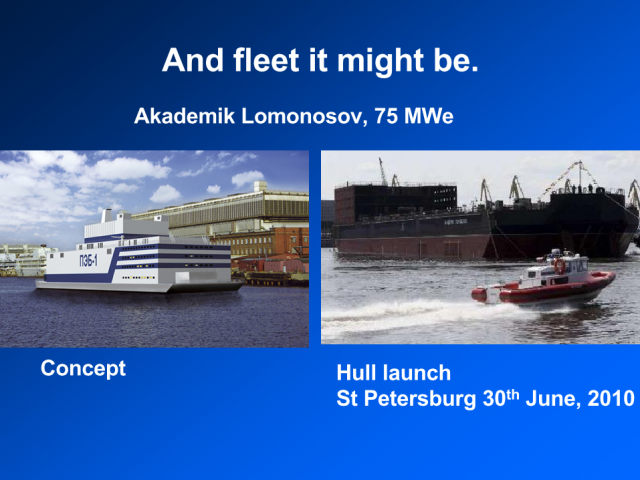 Russia has a Thorium program This is a self-contained Thorium Nuclear Reactor on a barge. Coolant readily available. Hoist it a couple of cables and the town will have all the power it needs. 17. China is having a massive Thorium program. The People’s Republic of China has initiated a research and development project in thorium molten-salt reactor technology, it was announced in the Chinese Academy of Sciences (CAS) annual conference on Tuesday, January 25. An article in the Wenhui News followed on Wednesday. 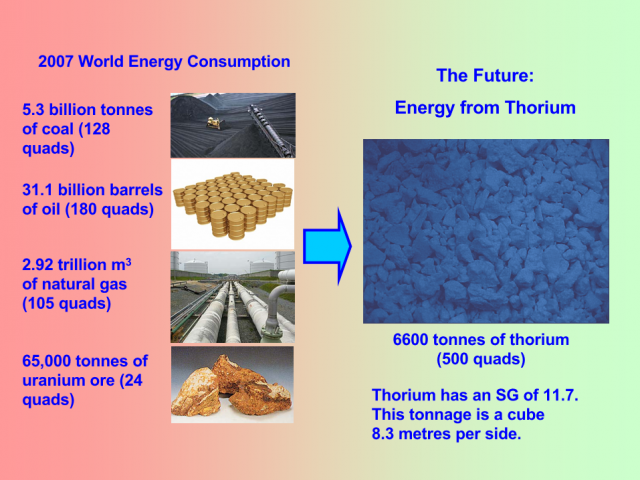 Chinese researchers also announced this development on the Energy from Thorium Discussion Forum. Led by Dr. Jiang Mianheng, a graduate of Drexel University in electrical engineering, the thorium MSR efforts aims not only to develop the technology but to secure intellectual property rights to its implementation. This may be one of the reasons that the Chinese have not joined the international Gen-IV effort for MSR development, since part of that involves technology exchange. Neither the US nor Russia have joined the MSR Gen-IV effort either. A Chinese delegation led by Dr. Jiang travelled to Oak Ridge National Lab last fall to learn more about MSR technology and told lab leadership of their plans to develop a thorium-fueled MSR.The Chinese also recognize that a thorium-fueled MSR is best run with uranium-233 fuel, which inevitably contains impurities (uranium-232 and its decay products) that preclude its use in nuclear weapons. 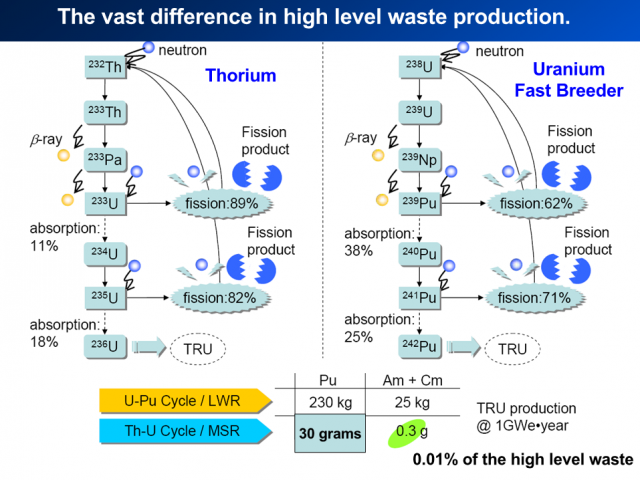 Operating an MSR on the “pure” fuel cycle of thorium and uranium-233 means that a breakeven conversion ratio can be achieved, and after being started on uranium-233, only thorium is required for indefinite operation and power generation. 18. India has an active Thorium program. • India has a flourishing and largely indigenous nuclear power program and expects to have 20,000 MWe nuclear capacity on line by 2020 and 63,000 MWe by 2032. It aims to supply 25% of electricity from nuclear power by 2050. • Because India is outside the Nuclear Non-Proliferation Treaty due to its weapons program, it was for 34 years largely excluded from trade in nuclear plant or materials, which has hampered its development of civil nuclear energy until 2009. • Due to these trade bans and lack of indigenous uranium, India has uniquely been developing a nuclear fuel cycle to exploit its reserves of thorium. • Now, foreign technology and fuel are expected to boost India’s nuclear power plans considerably. All plants will have high indigenous engineering content. • India has a vision of becoming a world leader in nuclear technology due to its expertise in fast reactors and thorium fuel cycle. • India’s Kakrapar-1 reactor is the world’s first reactor which uses thorium rather than depleted uranium to achieve power flattening across the reactor core. India, which has about 25% of the world’s thorium reserves, is developing a 300 MW prototype of a thorium-based Advanced Heavy Water Reactor (AHWR). The prototype is expected to be fully operational by 2011, following which five more reactors will be constructed. Considered to be a global leader in thorium-based fuel, India’s new thorium reactor is a fast-breeder reactor and uses a plutonium core rather than an accelerator to produce neutrons. As accelerator-based systems can operate at sub-criticality they could be developed too, but that would require more research. India currently envisages meeting 30% of its electricity demand through thorium-based reactors by 2050. 19.Lawrence Livermore Laboratories is developing a small portable self-contained Thorium reactor capable of being carried on a low-bed trailer. A Democratic member of the United States House of Congress (Joseph Sestak) in 2010 added funding for research and development for a reactor that could use thorium as fuel and fit on a destroyer-sized ship. Lawrence Livermore national laboratories are currently in the process of designing such a self-contained (3 meters by 15 meters) thorium reactor. Called SSTAR (Small, Sealed, Transportable, Autonomous Reactor), this next-generation reactor will produce 10 to 100 megawatts electric and can be safely transported via ship or truck. The first units are expected to arrive in 2015, be tamper resistant, passively failsafe and have a operative life of 30+ years. 20. The need for a Yucca Mountain nuclear storage facility will eventually go away. Since Thorium consumes the fissile material as it is getting created, the need for a long term storage facility of the Yucca Mountain type will eventually go away. In remote locations there can be built Thorium Nuclear Power generators that consume spent material from other nuclear processes. The need to do it in remote locations is the hazard of the already existing nuclear wastes. It should be possible to reduce the existing stockpile of nuclear wastes and nuclear bombs by about 90% and make electricity in the process. The cost to do this is higher than the normal process due to the additional cost of security. 21. Produces electricity at a cost of about 4 c/kWh. The cost to produce electricity with Thorium generators should be about 40% less than Advanced Nuclear and about 30 % less than from Coal (with scrubbers). Solar generation is about 4 times more expensive (without subsidies) Wind power is cheaper when the wind blows, but the generation capacity has to be there even when the wind doesn’t blow, so the only gain from wind power is to lessen the mining or extraction of carbon. 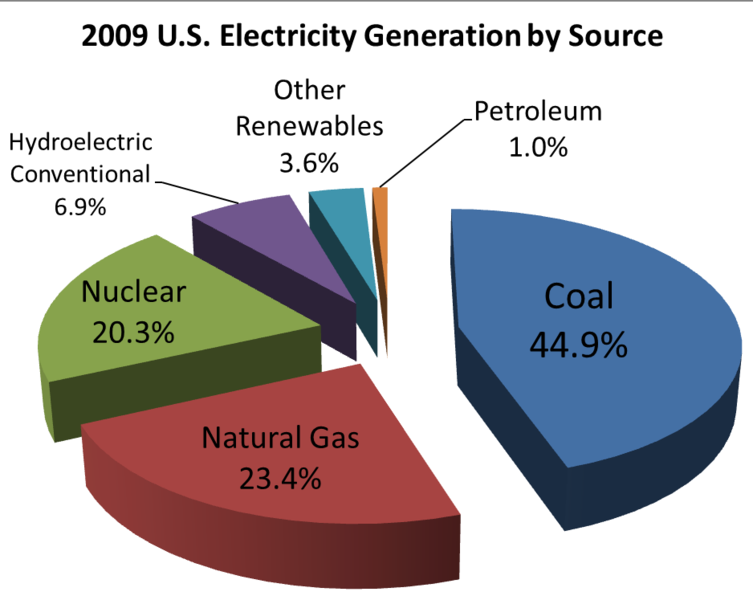 Even if we double the renewable power we will only go from 3.6% to 7.2% of total energy needed. Hydroelectric power is for all practical purpose maxed out, so all future increase must come from Coal, Natural Gas, Petroleum or Nuclear. Thorium powered Nuclear Generators is the way to go. 22. Can deplete some of the existing radioactive waste and nuclear weapons stockpiles. Thorenco LLC, is developing a special reactor to purify spent nuclear fuel. This thorium converter reactor is designed to transmute and to “fission away” the heavy transuranic metals, the “nuclear waste” that the world’s fleet of 452+ light water reactors produce in spent fuel. This waste is about 4-5% of the volume of the fuel rods. It is composed of neptunium, plutonium, americium and curium. These transuranic elements are radiotoxic for very long periods of time. Thorenco’s technology fissions the plutonium and irradiates the transuranics causing the heavy metal elements to fission or to become lighter elements with much shorter decay periods. The thorium fuel cycle provides the neutrons as does the reactor grade plutonium. Nuclear power becomes more sustainable because the volume of the spent fuel from the uranium plutonium cycle is reduced by up to 95%. More importantly, the storage time for the residue from the recycled thorium fuel is materially reduced. This will have to be stored for less than 1% of the time needed for the storage of the untreated transuranics. Posted on July 14, 2017 Categories energy, politics, science, thoriumTags China, India, Nuclear energy, Russia, Thorium2 Comments on Twenty-two reasons to rapidly develop Thorium based Nuclear Power generation.